Hi there! It’s Washington Cider Week NOW through the 20th of September. I really dig this cider and food pairing guide that the folks at the Northwest Cider Association put together. So what will I be doing to celebrate Washington Cider Week? I’m glad you asked. I’ll be going on an Urban to Island NW Cider media tour. Oh yeah! Starting with a late morning tour and tasting at Seattle Cider Company (our city’s first cidery since Prohibition…whaaa?) I’ll next board a ferry (sweet!) to Vashon Island. The orchards and surrounding farm and forest are home to the owners’ St. Croix sheep, Bouvier de Flanders dogs, barn cats as well as an abundance of birds and other wildlife. Next I’ll stroll about Dragon’s Head Cider, from the tasting room to the orchards. This will all be in preparation for a four-course meal paired with perry (say that ten times fast) and cider from both Vashon Island properties. Finally, I’m sad to say there’s something on my schedule about heading home after dinner. I was hoping to camp out underneath an apple tree, but my own bed will have to make due. I am really excited to visit and I encourage you to as well because you’ll meet some lovely people as well as enjoy some truly wonderful, unique cider. Finally, here’s a picture of me with some apples at Finnriver back in 2011. It makes me very happy to see this photo but also a bit sad as I really miss that warmup jacket that says “SENSE The Difference” on it. It was an expertly thrifted (probably from Burlington, Iowa), special gift. I left it at The Neighbor Lady (along with a hat I bought in New Zealand made from possum yarn) a few years back and it never turned up. (I called the bar twice and even stopped in.) Full disclosure: The Neighbor Lady is a bar. Fuller disclosure: I was sober and absent-minded. 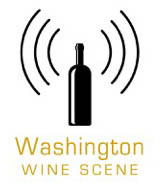 The post Cider and Food Pairing Guide for Washington Cider Week appeared first on Jameson Fink.